IP finance: Will dreams come true for True Drinks? The following piece is written by IP Finance team member Neil, but posted by Jeremy for purely technical reasons. Trade mark professionals tend to have only a partial sense of the commercial role that trade marks play. Within the context of prosecution and registration, this perception is shaped by the bedrock legal proposition of the trade mark world, viz. that a trade mark is a source indicator. This is true, but approaching trade marks in this way is likely to miss the overall picture: how do trade marks work within the broader commercial setting? For that reason, I was intrigued by a US company called True Drinks, Inc. (a NASDAQ-listed company). True Drinks describes its company mission as helping parents make intelligent choices about the selection of beverages for their families (and especially their children). Think soft drinks without a harmful sweetener and containing no artificial ingredients, but appealing enough in taste and container appearance to attract the most demanding young consumer. As the company declares, "True Drinks is a natural healthy beverage company focused on improving the health and wellness of our lives…"
Let's assume that the company has met this product challenge and that it has come up with a drink that meets these requirements. Enter the cold blast of commercial reality. How does the company successfully distribute and market its products when shelf space is restricted and competition is fierce? The company can sing its own praises on its website under "About Us", here, and it can hope that readers will find their way to their product ("build it and they will come"). Or it can seek to use trade marks, both their own and those of third parties, to get its message out in a compact and effective way. It seems to me that True Drinks has done a fascinating job in carrying out a trade mark-based strategy. Consider the company's home page, here. Splashed across the upper portion are moving images of the stylized trade marks (not simply the company name) of Disney, Marvel (the comic book and media company acquired by Disney), Safeway (a major US grocery chain), Rite Aid (a leading U.S. pharmacy chain) and the one and only Walmart. Above these moving marks is graphics highlighting the company's flagship product—known as AquaBall, all of this under the company name itself (True Drinks). What do we learn from the use of this collection of trade marks? First, take the company's name and house mark. True Drinks is a clever selection, just distinctive enough to take it out of the descriptive camp while at the same time sending the message that there is something "genuine and honest" about the company's products. But reliance on "True Drinks" on its own will not get the company shelf space and distribution clout: enter Disney and Marvel, which have agreed to license proprietary characters for use on the company's products (presumably these characters will change over time). The products now benefit from the widespread visual recognition that these characters enjoy (in a manner as, I think, Professor Jessica Litman coined the phrase—"Breakfast with Batman"). Not only that, but the stylized Disney and Marvel tradevmarks (not merely the word mark) are prominently splashed on the home page of the company's website, serving at least two marketing purposes. First, the use of the marks signals that the Disney/Marvel brands are willing to be associated with True Drinks. Moreover, according to CEO Lance Leonard in a recent Bloomberg radio interview, the company was selected as a licensee by Disney/Marvel precisely because the company has met their rigorous product standards. Disney/Marvel is not only about glitz, glamour and excitement: it is also about trust. As we are often told, at the end of the day, a successful brand is one that inculcates consumer trust in its products. While Disney/Marvel are not themselves the purveyor of the products, their association with True Drinks succeeds in conveying the coveted notion of trust to customers. The company then seeks to exploit its distribution network for branding purposes. As Leonard noted, unless a company such as True Drinks can succeed in distributing its product, it has no chance at commercial success. Based on the presence of the stylized Safeway, Rite Aid and Walmart marks on the website, the message sent to customers is that the True Drinks products can be purchased at all the right places. Moreover, the company enjoys positive association with well-known third-party distributors. The company also seeks to take advantage of the prior affiliations of its management, such as Nestle and Pepsico. The message here is again one of trust, tinged with experience and the wisdom that comes with it. A "start up" of sorts, yes, but one with solid roots in its industry. 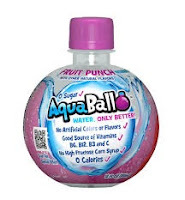 Against this backdrop, the company also attends to the branding of its products, such as its naturally flavoured water drink product—which it calls AcquaBall. Disney/Marvell and Safeway/Rite Aid/Walmat can only take the company so far. Also, Disney/Marvel may not be around forever as a commercial partner and so the company needs to develop product goodwill on its own. There we have it—the use of multiple marks, each of which serves a distinct role in sending a specific message to customers in furtherance of the company's overall branding goals. The very complexity of this branding structure shows just how difficult it is for a company to enter the drinks market successfully, even at a niche level. "Difficult', but not impossible.